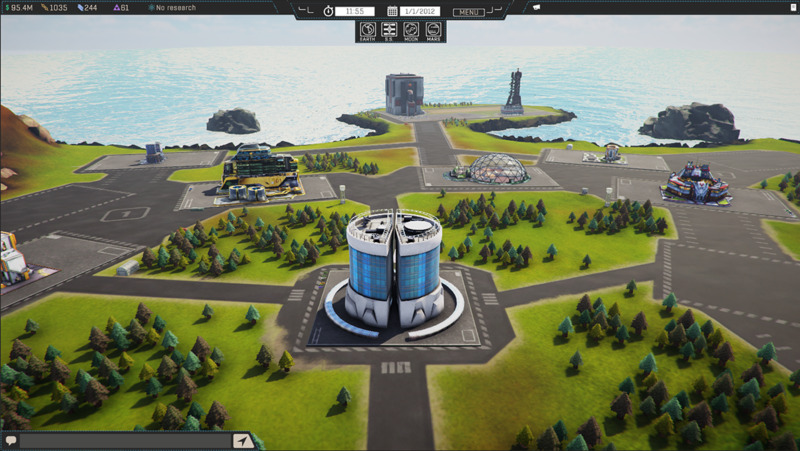 Initiative: Red Dawn is an online multiplayer business strategy game set in the current space race inspired by NASA’s unending progress and SpaceX’s revolution. But that description falls short. It's much more than that. 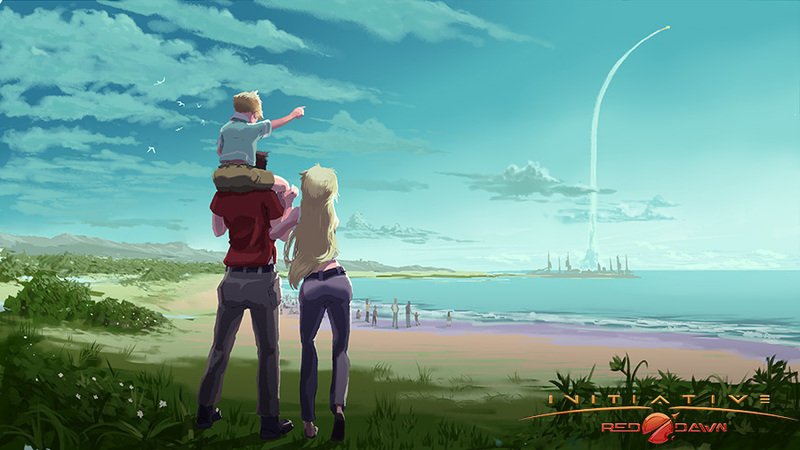 Made with beautiful 3D art and innovative mechanics, it's a challenge in which you have to make your way in real time among other competitors to be the first to establish a self-sutainable colony on Mars. Whether team up or fly solo, play nice or slyly engage others, be safe and steady or risk it all to get there first. It is up to you to make the best aerospace company ever and shape the future of the human race. Build Your Base on Earth. 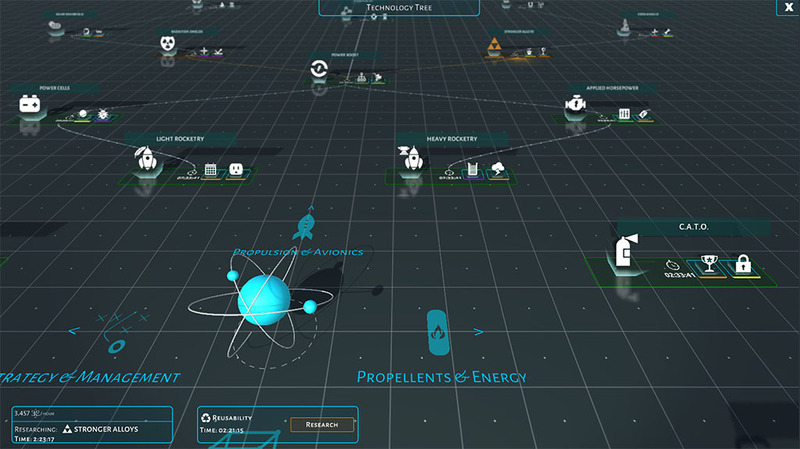 Expand your company by creating Space Stations and Moon colonies on your way to Mars. Hire and train your Talents. 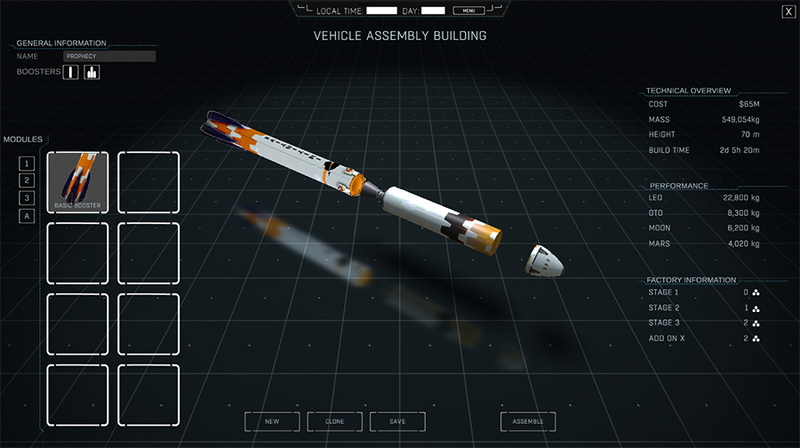 Design and assemble your rockets. Compete for private and government contracts. Plan your missions and Launch your rockets. Corporate wars: Attack and defend. Holdings: Unite with other players. Manufacture engines, fuel tanks, and everything else you need or trade them in a global market. Establishing a colony on Mars is such a big endeavour you'll need to construct all the necessary buildings to achieve that. Corporate: handles your Talent hiring, resources purchases, corporate security, etc. Recreation: improve your Talent's happiness, the look of your base, and get some income with visitors center, etc. Your company needs people to work on. You'll need to hire Talents to make most of your buildings work. Talents require payment, and you need to hire them before others do, because they are shared among the server, so the best ones will be hired quickly. They also will level up as they work with you, and their happiness is also up to you to make them perform better or worse. Also, some of them may have passive effects on your company, and special skills you will be able to activate manually. Avionics: computers, energy distribution, radars, AI, etc. Propulsion and Energy: engines, fuels, colony energy systems, etc. Structures and Support: alloys, radiation shields, colony modules, etc. Corporate Relations: firewall, cost and time reductions, security, etc. The whole point is to build rockets, so this is a huge part of the Initiative. Everything you use to build your rocket adds weight and defines the possible destination. 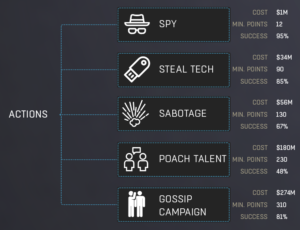 Compete against other players for private and government contracts. This is a race after all. Sometimes you need to play a bit dirty to get an advantage. Thank you for reading! For more info follow us on any of our social media accounts: Twitter, Facebook, Instagram or join the newsletter on our Website. Also tell us what you think in the comment section below. We will answer every question and consider any idea you may have to improve this game. Initiative: Red Dawn - First Gameplay Trailer! Hi! It's been some time since my last report. But believe me, waiting was worth it. Here, you can see our very first gameplay trailer, which will give you a rough idea of what The Initiative is all about. Now, it does not include every single aspect of it, but enough to get you excited, I'm sure. And pretty soon we'll make another exciting announcement. So, stay in touch! 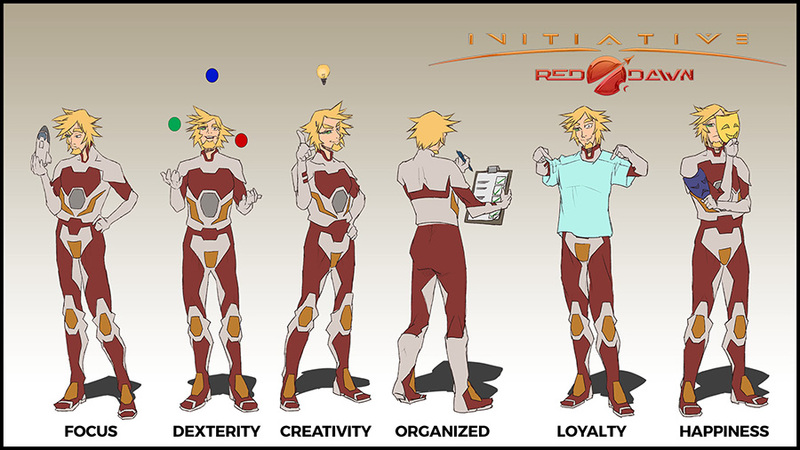 Initiative: Red Dawn, the new aerospace business sim is live on Kickstarter! and to celebrate we are releasing a new cinematic trailer.